When Marcy Deveraux's romance series catapults to the top of the New York Times bestseller list, no one is more surprised than Marcy herself. After all, she barely passed high school, flunked the driving test four times, and fell into a pool at her sister's wedding. 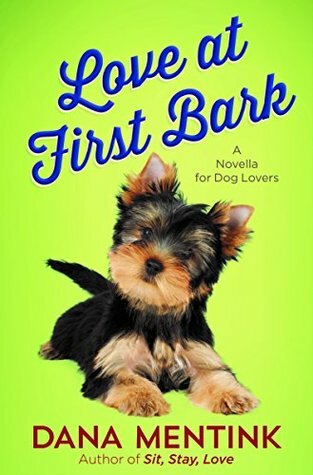 Enter hunky cowboy Jackson Parker, who runs the stables for the campground and helps Marcy survive the antics of the ill-behaved, zany dog. There's something tender and gentle about this man, who could easily grace the cover of any romance novel. Soon Jackson has Marcy rethinking her own beliefs about what heroes are really made of...and what God intends for her life. It's cowboys, canines, and capers galore in this charming novella for animal lovers. What a cute short story! The story follows Marcy who randomly wrote a novel and it became a big hit and now her publisher is begging for a next big hit. Marcy, feeling stressed, goes out to the wilderness to try and get some inspiration to write her next big hit. A little puppy stumbles into her life and shakes things up. Thanks to this little pup, Marcy is forced to meet the cowboy of her dreams and learn a little about herself and what will make her happy. It was certainly a cute tale. I felt bad for Marcy because writer's block is the worse, especially with a deadline breathing down your neck. The cowboy was a hunk for sure...but he was a little too perfect. The dog was a cutie. I can't wait to get a dog someday! I do think this dragged on a little bit even if this was a short story. The ending took forever, but it was still a fun journey. In the end, I liked this short story because it was cute. I have said that word a lot I noticed, but it certainly was true. I want to read more by this author. Out of five stars, I'll give this 4 stars. yes it definitely looks cute there!